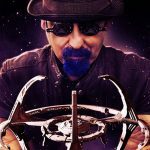 [REVIEW] Star Trek: Discovery 210 “The Red Angel”: Mystery Solved? Did your Red Angel theory play out? Probably not! The long-awaited reveal of who the mysterious time-traveling, armor-wearing person is actually somebody nobody could have expected. 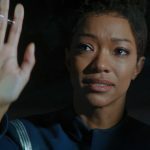 Initially, the “reveal” of who the Red Angel is was unceremoniously said to be Michael Burnham (Sonequa Martin-Green), based on a file found in the deceased Airiam (Hannah Cheesman). But that seemed a little too easy, didn’t it? Instead, the final moments of the episode reveal the Red Angel to be the person who helped designed the Red Angel suit itself, and a person thought to be long dead: Michael’s mother, played by Sonja Sohn. But we are getting ahead of ourselves. “The Red Angel” began with a moving funeral for Airiam, who met her demise last week after she was corrupted by Section 31’s AI, Control. 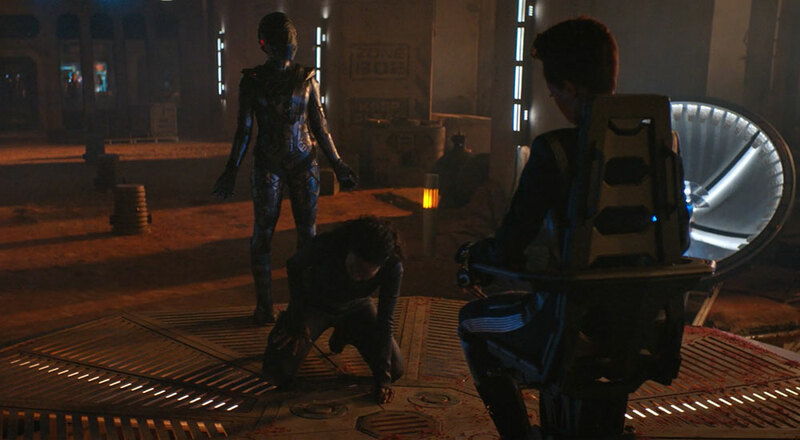 In this scene, we feel the Discovery crew feel more and more like a family, where quite a few crew members lament their loss – including a welcome monologue from Keyla Detmer (Emily Coutts), relating her own augmentation to Airiam. And in case you were wondering, Doug Jones confirmed on Twitter that that was indeed him singing in Kelpien. Later in the episode, we see Airiam’s replacement, Lieutenant Nilsson, who is played by Sara Mitich, the actress who played Airiam in season one. We previously saw Nilsson earlier in season two. 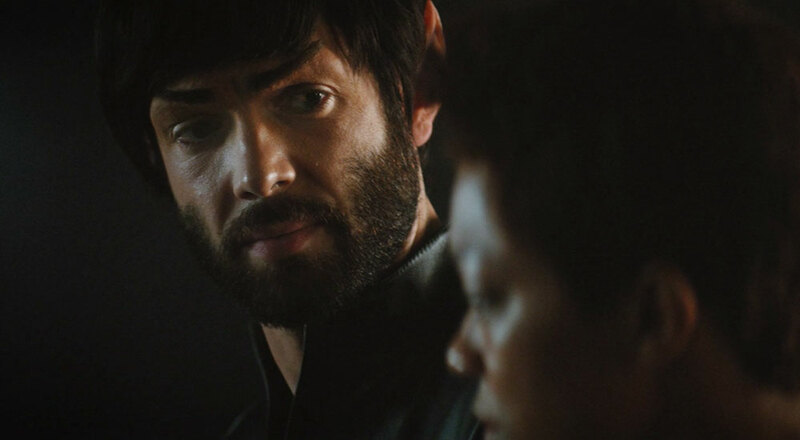 Otherwise, “The Red Angel” was an episode packed with character-driven scenes, most notably a friendlier-than-usual conversation between Spock (Ethan Peck) and Michael as the Vulcan tries to comfort Burnham. And it’s here that we should note that Sonequa Martin-Green kills it in this episode. Her character has so much going on – from the faux revelation that she is the Red Angel, to Section 31 (and Leland in particular) being responsible for her parents’ death, to Michael being used as bait to attract the Red Angel. That’s a lot of emotion to handle, but Martin-Green juggles these scenes with amazing grace. Let’s count the emotions: fear and romance (talking with Ash), anger (talking with Leland), grief (the funeral scene), extreme pain (the episode’s climax), and guilt (over the death of her parents). Her exchange with Leland involving her parents is a particular highlight from this episode; she executes a quiet rage that is absolutely appropriate for situation. 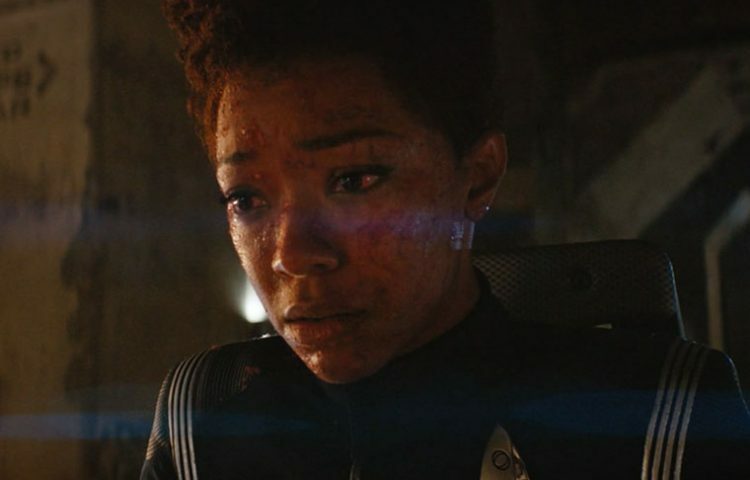 This is to say nothing of the episode’s climax, where Burnham is slowly but very painfully dying as the Red Angel takes its sweet time coming to the rescue. 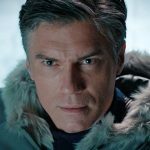 It’s an incredibly brave moment for the character, and may very well come to be a signature moment for both Burnham’s character arc, and Martin-Green’s tenure on Discovery. 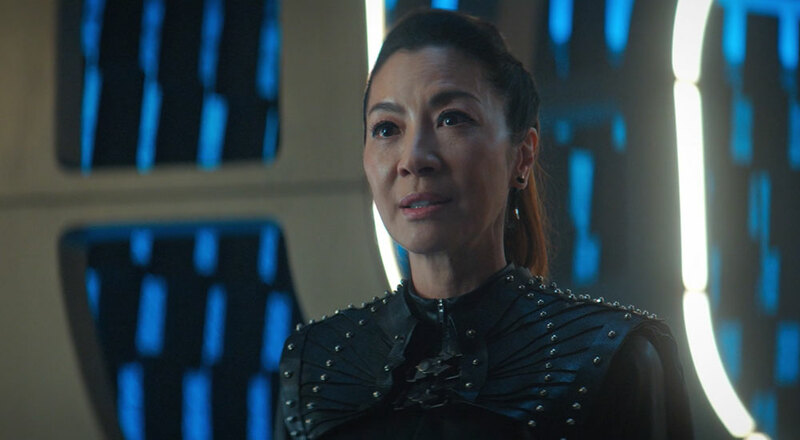 Prominently, and perhaps overdue, we see more movement on the Culber-Stamets front, as the continuing tension between the (former) lovers reaches a new height in a scene involving Philippa Georgiou (Michelle Yeoh). 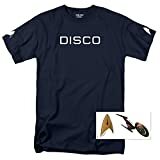 The former Terran empress remarks on the Stamets in her universe as the Prime Universe engineer and doctor maintain and defend their identity and sexual orientation a conversation never explicitly had before on a Star Trek show. 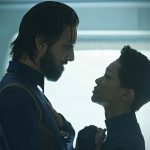 It’s a scene that will surely satisfy fans who are particularly fond of the Stamet-Culber dynamic, and it grants a quick look into Georgiou’s universe, as well. In a follow-up scene, Culber reaches out to Admiral Cornwall (Jayne Brook) about adjusting to what amounts as a new life. It’s a scene that’s slightly overdue, considering how long ago Culber was recovered from the mycelial network. If the story beat about Section 31 suspecting Earth’s technological progress was impacted by time travel is familiar, that’s because the Voyager episode “Future’s End” explores the same idea. Referring to Leland’s eye exam: why did he need to use that device anyway. We’ve never seen that retina scanner before, and at the time, Leland was, what, overriding a security system? Seems like it was just a good excuse to offer a jump scare. This episode was directed by Hanelle M. Culpepper, who not only directed the season one episode “Vaulting Ambition,” but she is also directing the first two episodes of the still-untitled Picard TV show – making her the first African American woman to helm the first episodes of a Star Trek series. It’s the same praise week after week: Ethan Peck continues to impress as Spock. One can hear a bit of Nimoy whenever he talks. 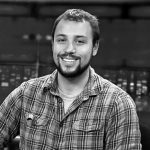 If Peck loses the beard and cuts his hair by the end of the season, count it as a great transition heading into The Original Series. 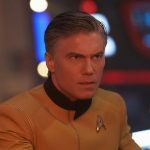 We got some great shots of Discovery this week. It’s refreshing having new exterior shots to enjoy each episode, instead of, say, the reused establishing shots in other Star Trek shows.